Unlike last year's Super Bowl on CBS, Fox is selling its digital ad inventory for the Super Bowl separately from broadcast (linear) ad inventory. Last year, to advertise in the digital stream, advertisers were required to purchase spots for the traditional broadcast program. 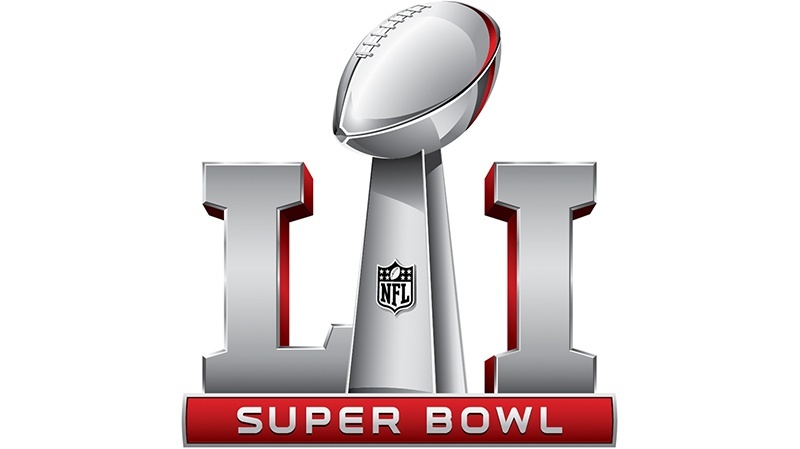 The reversal should be a welcome change to advertisers for several reasons, beginning with the fact that this makes the Super Bowl accessible to many more advertisers that want to reach the rapidly growing number of fans who have cut their cable cords. It also means marketers can show digital viewers more relevant ads, and with new engagement tactics. Ad spots in the digital stream can be purchased on a national or local basis. Digital ads are significantly less expensive, priced at roughly $700,000 for a 30-second national spot. The same 30-second national spot in the broadcast stream will cost you in the ballpark of $5 million. While $700,000 is still double the cost of a national 30-second spot on a hit show in prime time, companies unwilling or unable to pay the premiums for traditional Super Bowl spots may be willing to test it out in this price range. Beyond advertisers with smaller budgets who want access to Super Bowl audiences, this pricing scheme makes it possible for larger advertisers to do more interesting things as well. For most Super Bowl advertisers, a single ad is produced and run nationally due to the high cost of ad space and the high expectations of the viewing audience. This year, a brand could purchase multiple local digital ad spots and run unique ads created specifically for each market and demo purchased. For example, GM could run a Super Bowl ad featuring the Chevy Cruze in California, where the Honda Civic is the bestselling car and a similar ad featuring the Equinox in Colorado, which would compete better against the bestselling auto in that state, the Subaru Outback. Even more interesting would be to release a series of teaser ads in different markets and allow communities to pick their own digital ad prior to the actual game to drive engagement, interest and brand impressions. Alternatively, marketers could run multiple ads in the same market to test which ones perform better in advance of a national campaign. At the current price point, an advertiser could buy roughly seven digital ads for the price of one broadcast ad. In looking at the makeup of the audience, the viewers watching the Super Bowl on the digital stream are highly skewed toward the coveted digitally savvy, 18-to-34 segment. It's also growing. Last year's total number of unique viewers, according CBS, was 3.96 million, a 58% increase over 2015 according to Stats LLC. In contrast, broadcast numbers were relatively flat, registering a slight downtick of 2.2%. With the continued trends of cord cutting and the TV ratings dip for NFL games this year, we expect the total viewer numbers in digital to be up again, significantly. The real power for advertisers comes when considering how they can activate their traditional Super Bowl ads. For instance, a 30-second ad in the broadcast stream is just that, 30 seconds. It works the way TV ads always have: a short, one-way communication giving a company the opportunity to elevate their brand in the eyes of those viewing the program. In this case, it's an opportunity to do so in front of an audience of over 100 million viewers (last year's Super Bowl had an average of 111.9 million viewers). While this is a massive audience, it's also a forum where every advertiser brings out their best, making it harder for any individual brand to break through. By contrast, a 30-second ad in the digital stream has the potential to break the barrier of time and become much more. The nature of the digital medium is that it's naturally a multitasking environment, so the possibility for meaningful and extended engagement is much higher. With a digital ad, you can expand the world of the ad by creating a backstory, connecting the ad to it and providing avenues to explore it further -- all within the environment the viewer is already in. The ad itself can be interactive and allow direct engagement within and/or around the ad itself. It also provides the opportunity to collect viewer data and even connect the ad to commerce. For example, Anheuser-Busch will run a bevy of ads in Super Bowl LI, including the minute-long epic about an immigrant's tale for Budweiser released this morning. Their ads will no doubt be very well done, garner them praise and rate well on charts such as USA Today's Super Bowl Ad Meter and Ad Age's audience voting. But broadcast spots are just a "brand impression" if there is no plan for activation. If Anheuser-Busch, in addition to its Bud Light ad, also did a cooperative ad buy with alcohol delivery company Drizzly in the digital stream, it could advertise special offers to viewers of the digital stream in the 24 markets Drizzly serves with links directly to the site or app for purchase, immediately creating preference for and purchase of their products over competitors. The digital TV medium is evolving. Soon the rate of change will grow exponentially, bringing with it exponential growth in audience size and brand and commerce opportunities for savvy marketers. We recommend getting in while it's still a bargain.